The 2017 American Quarter Horse racing season gets underway with a star-studded cast at Sam Houston Race Park on Friday, March 31. Opening night will honor the men and women who serve our country with Military Appreciation Night offering FREE admission for Military with valid ID (before 8 pm). Gates open at 5:30 with the popular 50 cent Beer Friday from 6-9 pm. 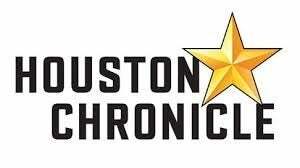 Live racing gets underway at 7:00 pm with trials for the Bank of America Challenge Championship as well as the first two stakes of the live racing season, the $20,000 Miss Houston Stakes and the $20,000 Harris County Stakes. Following live racing, Country Music recording artist Pat Green will perform LIVE on the Bud Light Stage at the Sam Houston Race Park, presented by ABC Home and Commercial Services. He will have the crowd singing along to top hits such as “Wave on Wave” and “Let Me”. Judd Kearl had an award-winning 2016, leading the nation’s Quarter Horse trainers in both races won and money earned. He was honored with the prestigious Blane Schvaneveldt Champion Trainer Award, in ceremonies conducted by AQHA in January, becoming just the seventh trainer to earn the award in its 32-year history and ending the 14-year reign of Paul Jones. Kearl’s trainees earned over $4.6 million; more than twice his closest competitor. His stars included world champion Jessies First Down as well as AQHA champions EC Jet One and Volcom Bay. Sam Houston Race Park holds a special place in the heart of Kearl, 42, who grew up in Tremonton, Utah and learned the ropes from his dad, Steve. "I remember ponying a horse when I was six," Kearl recalled. "My dad had a construction company, but growing up, I knew that was not what I wanted to do." So, with deeply rooted instincts for horses, Kearl began his training career in Idaho, Utah and Wyoming. He made his move to Texas in 2004 and operates a farm and training center in New Waverly, Texas, just a 45-minute drive from Sam Houston Race Park. Kearl won his first Sam Houston leading trainer title in 2006. With his seventh tally last May of this year, he tied the late Steve VanBebber, who dominated from 1994-2000. Kearl has over 200 horses in training in 2017 and will be very prominent throughout the Sam Houston meet, beginning with AQHA world champion, Jessies First Down, who will run in Friday’s seventh race, one of two trials for the Bank of America Texas Challenge Championship (G1). He will divide his runners between Houston, Remington Park in Oklahoma City, Delta Downs in Vinton, Louisiana, which opens April 21 and is planning on sending 50 head Ruidoso Downs in New Mexico this May. It’s his biggest stable since he began training in 1996, because he has earned the respect of a loyal core of owners. 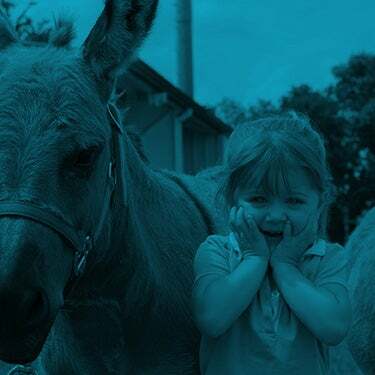 They trust him in their daily care and well as identifying prospects in annual yearling sales. Kearl has assembled a solid team, including his childhood friend, Jimmy Padgett, who serves as his assistant. Kearl will be shooting for his eighth Sam Houston title this meet and much more as the year unfolds. He was asked if he can top the accomplishments of 2016. On Friday night, there will be two trials for the Bank of America Texas Challenge Championship (G1) and several notable runners will compete at the "classic" distance of 440 yards. Texas horseman Ted G. Abrams, Sr. bred and owns Jessies First Down, a 6-year-old son of Fdd Dynasty. He set the fastest qualifying time in the 2016 Bank of America Texas Challenge, running second to Jrc Callas First in last year’s final. However, with a convincing rally, came back strong in the $50,000 Sam Houston Classic (G2) at Sam Houston Race Park. His sensational 2016 campaign continued with three Grade 1 victories. His win in the $350,000 Championship at Sunland Park pretty much assured him of his world champion title. He will break from post position seven under Rodrigo Vallejo and Kearl, who trains the talented gelding, reports he is doing well. “He’s training super,” said Kearl. In the second trial for the Bank of America Challenge, multiple-stakes winner TLC Dale, has been tabbed as the 5-2 choice. Owned by Rogelio Garza Guarardo, the 4-year-old by The Louisiana Cartel won the 2016 Sam Houston Derby. Damian Martinez has the mount. His main rival appears to be Dutcher, a Jumonville Farms homebred, now in the barn of Kearl. The 5-year-old son of Apollitical Jess has faced tough company at Lone Star Park and Los Alamitos. Rodrigo Vallejo will pilot him in his Sam Houston debut. The ten fastest qualifiers will return for the final on April 15 and the winner will represent Sam Houston Race Park in the $350,000 Bank of America Challenge Championship (G1), which will take place on October 14 at Prairie Meadows in Iowa. The first stakes of the Quarter Horse racing season is the 350-yard Miss Houston Stakes for accredited Texas-bred fillies and mares. Nine runners are entered, with Sr Esmeralda breaking from the rail under jockey Francisco Calderon. Owned and bred by Silvia Robles, the Red Storm Cat mare will make her 2017 debut; her first start since representing $125,000 Merial Distaff Challenge Championship (G1) at Los Alamitos last October. Kearl has three entrants in the stakes, including top money-earner Barefoot Beach, a 4-year-old daughter of Ivory James, who will make her 19th career start for owner Samuel Martinez. She has been installed as the 5-2 morning line choice and will be ridden by Noe Villatoro. Kearl will give a leg up to Rodrigo Vallejo aboard Honey Ryder B, a Bigtime Favorite mare owned by Matt and Cheri Cranmore. His third filly is Jorge Haddad’s homebred Pollitical Dynasty, who will be ridden by Jose Alvarez. The 3-year-old daughter of Apollitical Jess broke her maiden at Sam Houston Race Park last March and will be making her first start off an eight-month layoff. The Miss Houston Stakes will run as the sixth race on the card. Closing out the opening night racing program will be the 550-yard Harris County Stakes. Nine runners are entered, led by 2014 AQHA world champion, Jrc Callas First. The 7-year-old Texas-bred son of Winners Award is the pride and joy of Dana and Brian Stroud. With a career record of 17 wins from 31 starts, including a victory in the 2014 Harris County Stakes, Jrc Callas First has bankrolled $619,117. He last competed in the $350,000 Bank of America Challenge Championship (G1) at Los Alamitos in October. Following that stakes, he had a freshening on the Stroud’s farm in Sutherland Springs, Texas and has been training well for his return to Sam Houston Race Park. "He seemed to enjoy is time off," said Brian Stroud, who trains the bay gelding. "He played some, but kept his weigh on. He has always run well at 550-yards, so we’ll see how he does Friday and then maybe stretch him to 870." Stroud liked what he saw in his 660-yard work on March 15 at Retama Park. Jrc Callas First will be ridden by Juan F. Garcia Jr. as the 5-2 morning line favorite. The Field Cricket returns for his 14th start at Sam Houston. Claud R. Denson owns the 9-year-old Texas-bred, who was the runner-up in the 2015 edition of this stakes. Trainer Jesse Yoakum has given the mount to his son, Jerry Lee Yoakum who will break from the rail. Yoakum will also saddle Brookstone Dash, with Damian Martinez aboard the 4-year-old son of Brookstone Bay. Martinez just clinched the leading ride title in the 2017 Louisiana Downs Quarter Horse meet. Stakes-placed Heza Bell Perry and Stolis Pro, winner of his last two allowance races at Lone Star Park, are two other contenders. 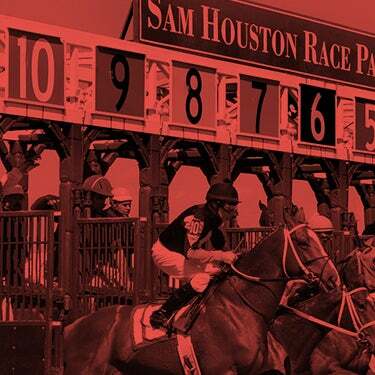 Each of the twelve races on Saturday, April 1, are trials for the Sam Houston Maiden Classic. The fastest ten qualifiers of the 350-yard trials will advance to the final on Saturday, April 15. Last year's winner was the fastest qualifier, Pete Scarmardo’s homebred, Kid Can Dash, a 3-year-old son of Down N Dash, trained by Leon Bard and ridden to victory by Francisco Calderon. 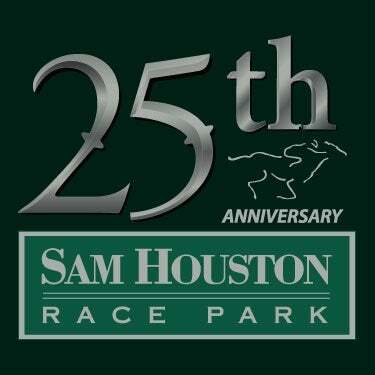 Sam Houston Race Park will run three days a week throughout the 2017 Quarter Horse meet. Post time for Friday evening racing is 7:00 p.m.; Saturday's card will get underway at 6:00 p.m. and the live racing program on Monday will begin at 12:00 p.m. The entertaining 2017 Spring Concert Series returns to the Bud Light stage this weekend with Pat Green performing on Friday, March 31. The series continues through May 19 with the performers taking to the stage immediately following the ten live Quarter Horse races. Concert admission is FREE with $7 live racing admission before 8pm. Save $10 on after 8pm admission by purchasing tickets in advance on line. Tickets are available now at www.shrp.com, at participating Houston-area Randall’s locations, or by calling 800-211-3381.